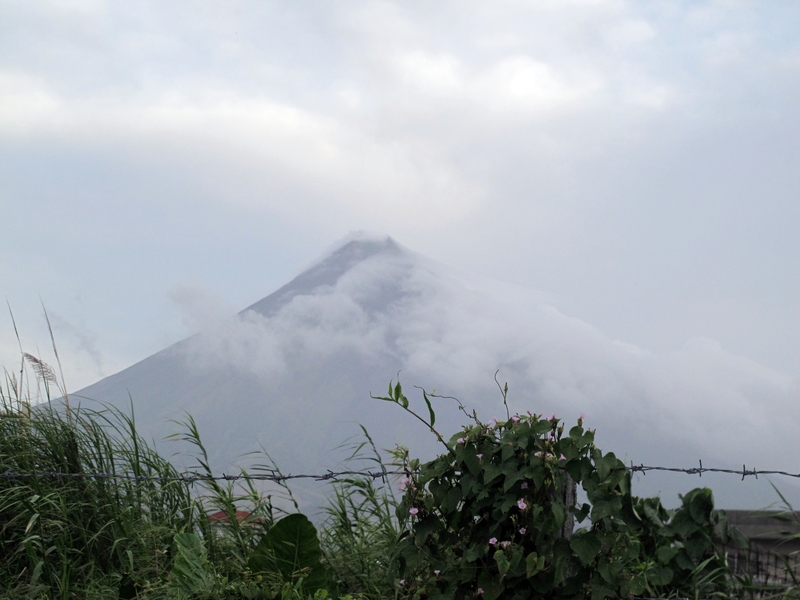 From Legazpi City, we drove towards Barangay Biga-a, just 8 kilometers from Mayon Volcano. This place is a PERMANENT DANGER ZONE. And for good reason. 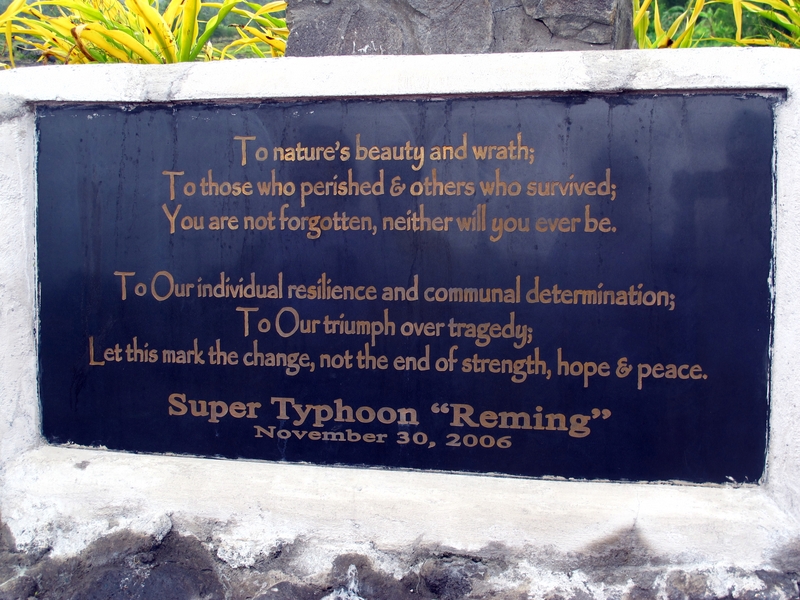 Back in 2006, Typhoon Reming hit the area and as many as 15,000 perished . The Padang Memorial stands here as a grim reminder of that tragedy, with the majestic volcano as backdrop. From Padang, we passed a few 17th-18th century churches. We took the time to stop by 2 churches , both named Santo Domingo Church. The second one had a separate bell tower as well as lovely stained glass windows. Unfortunately, the churches were closed and we failed to gain entry. Further on, we drove through a road lined with Pili trees and abaca hemp hanging out to dry. 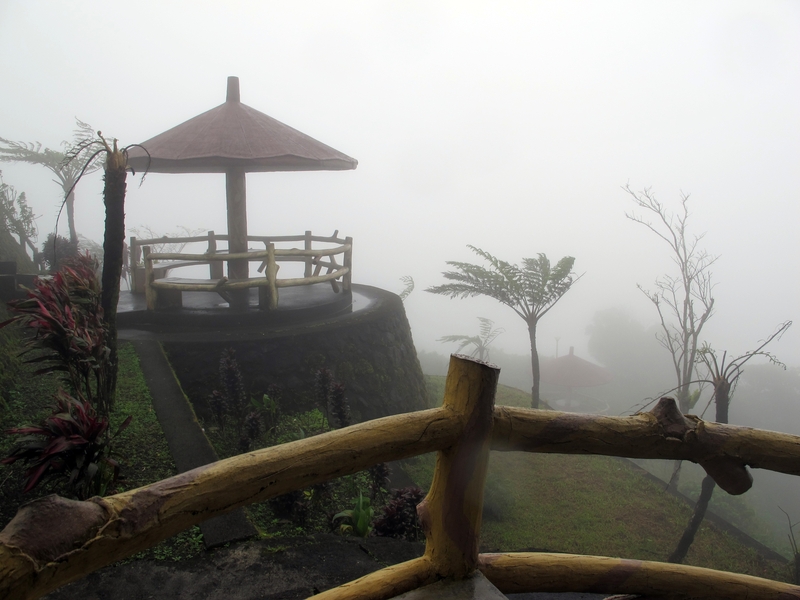 Then we took an uphill road and climbed towards an area tagged as Mayon Skyline where the Mayon Planetarium and a solitary cafe stand across stone huts hugging the cliff from where one takes in a view of the crater lake on a clear, sunny day. It was a pleasant surprise to find this cool, breezy place this foggy morning just an hour’s drive from the city. Too foggy to allow a clear view of the lake, we instead chose to spend the next few minutes sipping a cup of hot coffee or slurping some hot noodle soup. A nice brew would have added some charm, though, instead of the instant coffee served. 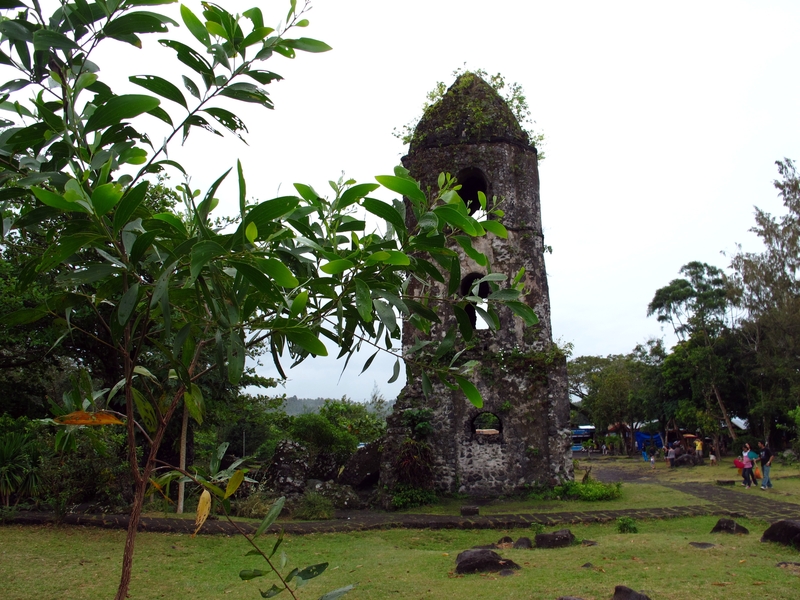 Mayon Skyline is in Barangay Bu-Ang in Tabaco, Albay. The entire area belongs to the PERMANENT DANGER ZONE too. There was no chance to check out the blacksmiths from Tabaco, Albay — famous for its quality scissors and knives. ( Tabak literally means knife or machete , after which the place got its name. ) Rather, we drove on towards Ligao City where Kawa Kawa Hill is. 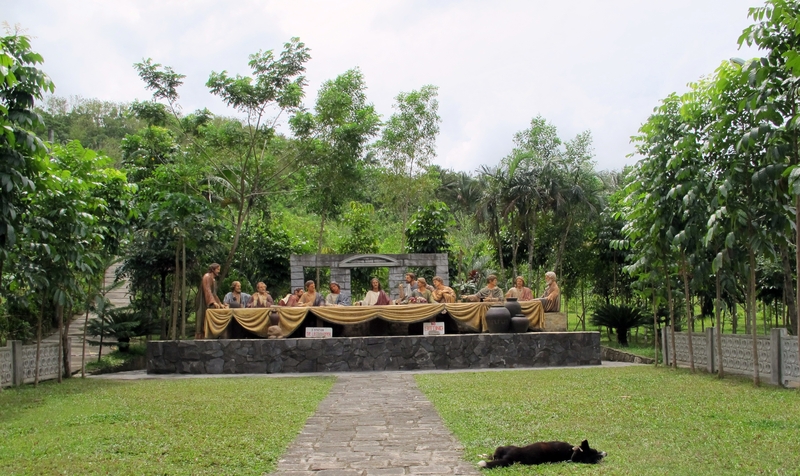 Many Catholic pilgrims visit this natural park especially during the Lenten Season to do their Stations of the Cross. 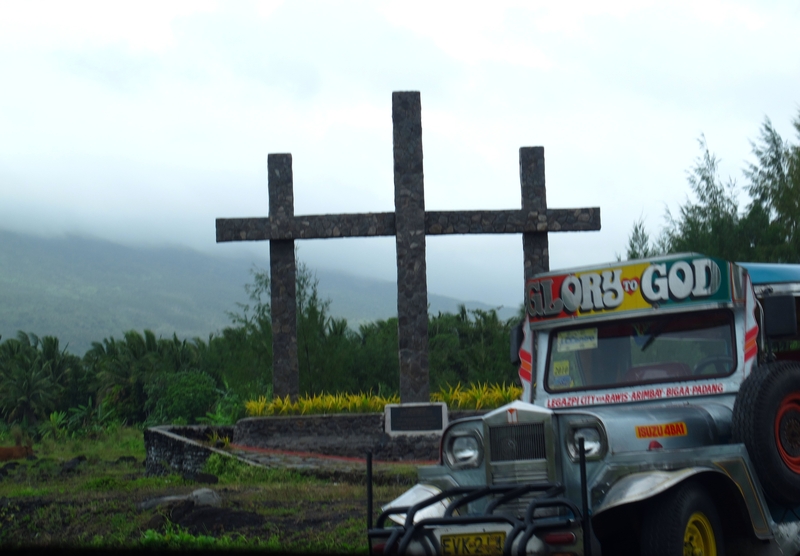 Moving on, we passed Guinobatan, Albay where the tree-lined road blends with the popular mode of transportation in the area — tricycles and jeepneys — and some old houses and more 17th-18th century churches. 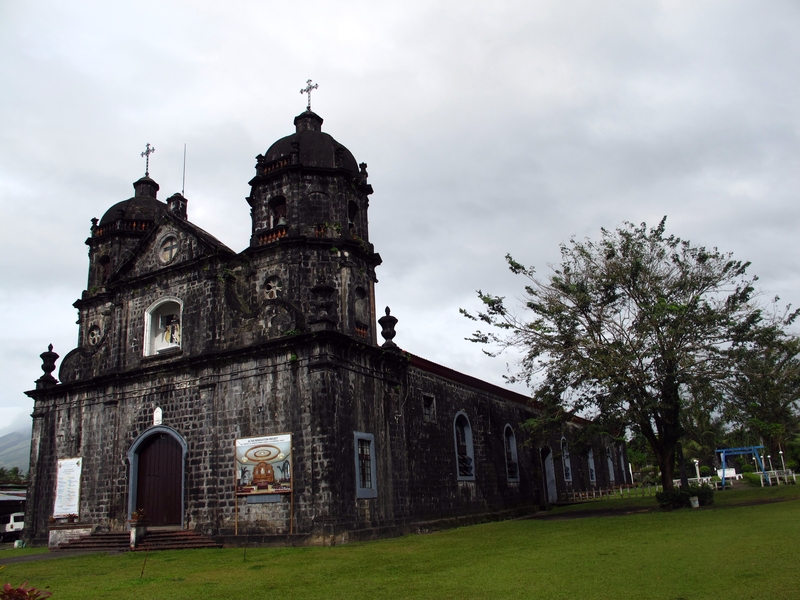 One such old church is in Camalig, Albay whose patron saint is St. John the Baptist. The belfry is touched by this old tree with creepers along its branches and twigs, which stands witness to many Sunday masses and passing parishioners. Unlike their counterparts in many parts of the country, these churches are situated in wide plazas and must have served as community centers in the olden days. 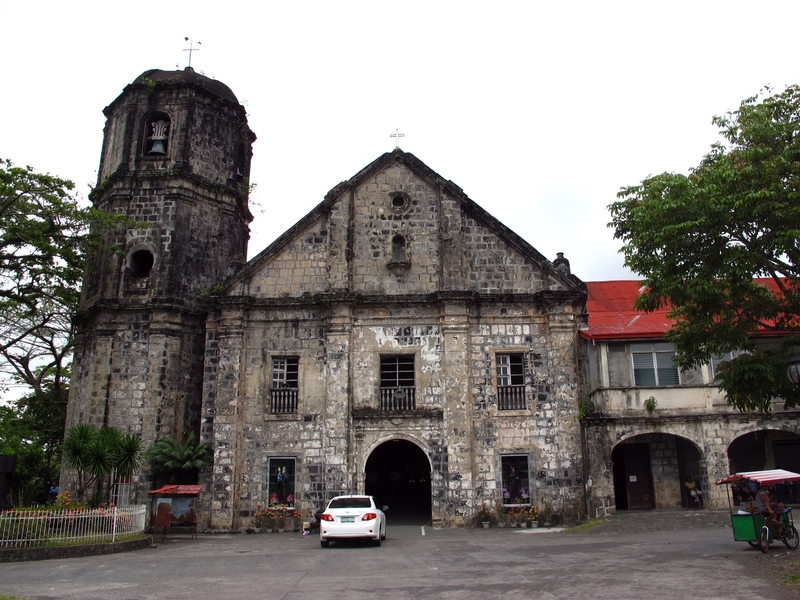 It’s amazing how many 17th and 18th century churches one can find in Albay alone. No wonder many of our priests hail from this place. You can sense the spirituality in these places and among the people. Truly, adversity has its favorable results. Being in the typhoon belt, exposed to nature’s fury, the Bicolanos have strong faith in God’s mercy, as are just as blessed with many natural wonders like the near-perfect cone of Mayon and the nearby whale sharks in Donsol, Sorsogon. Come visit! More photos in my TravelBlog site. Mayon Skyline On a Foggy Morning! You’ve captured this peflectry. Thanks for taking the time! « Lechon at Kakanin, Anytime!